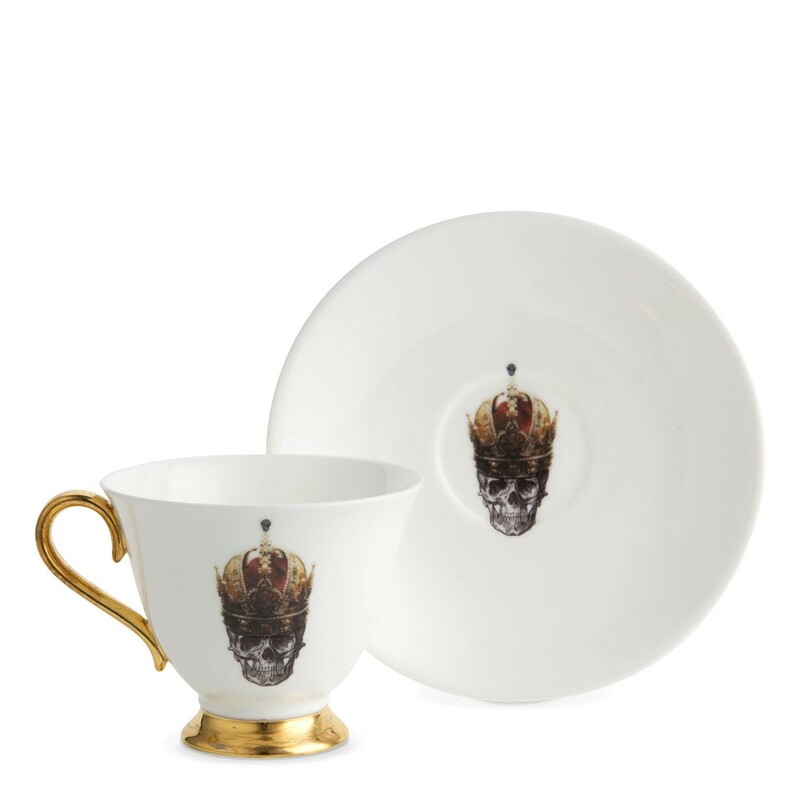 Enjoy a regal cup of tea from this bone china Skull in Red Crown teacup and saucer set. 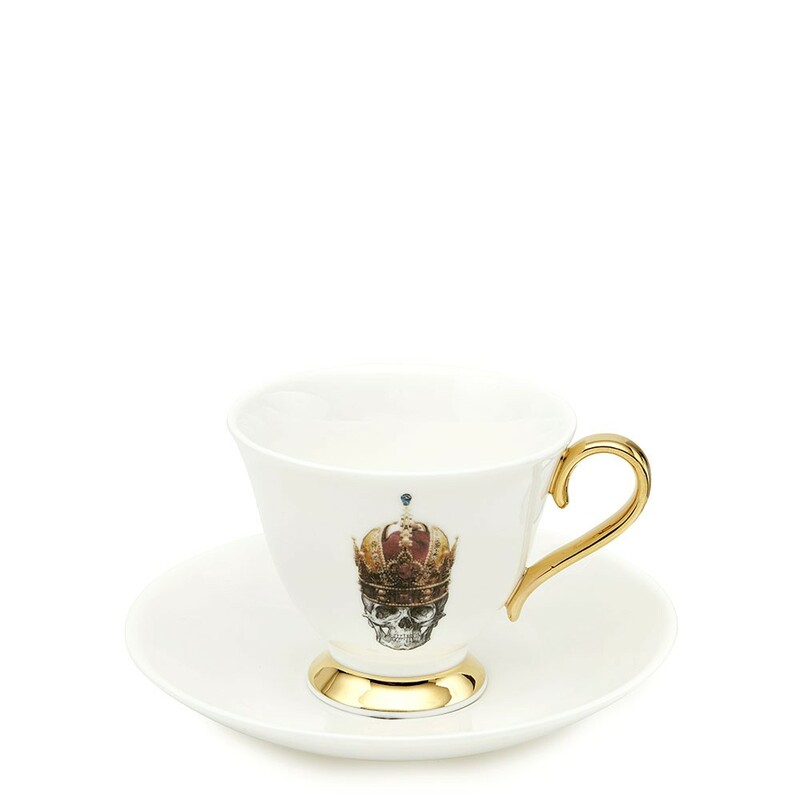 Beautiful and quirky, this bone china teacup and saucer with the 'Skull in Red Crown' design is part of the Melody Rose London Inspired collection. Gorgeous displayed, but also entirely functional and can be used every day. 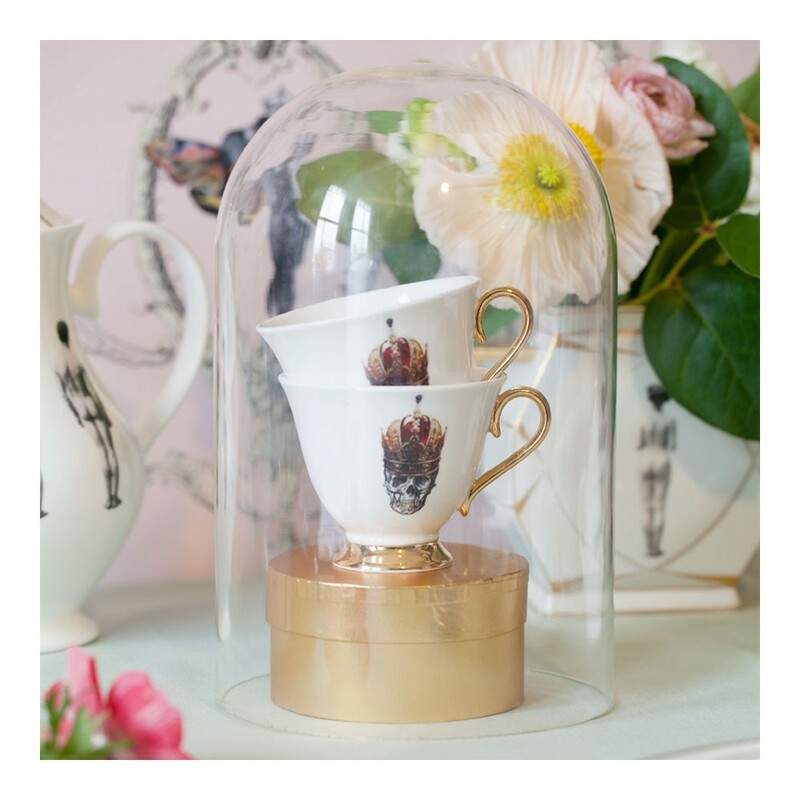 Looks wonderful with the Skull in Crown Teapot.